Introduction is used to grab the reader’s attention; the body consists of three or four paragraphs supporting the hypothesis and main argument of the essay, while the conclusion is the last and final chance to leave an impression on a reader. It is necessary that the conclusion of your essay must be written in a way that it forces the reader to give you full marks; in short it must be the best part of any essay. Writing a conclusion is one of the most difficult parts of writing an essay in which usually many writers feel that they are completely out of the words. Leave an impression on your professor. A compare & contrast essay in simple words is also called a comparison essay in which the writer compare two objects or ideas and present their similarities and differences. The main focus of the writer here is on the scope and length of an essay. The conclusion here is also the main part of an essay that must not only paraphrase the thesis statement, but also share the opinion of the author. The hypothesis is a sentence that gives an idea to the reader what your essay is all about. It is necessary that the first sentence of the essay conclusion must be the paraphrase or restatement of the hypothesis. The body paragraph should usually include the objective information, the conclusion must contain about two sentences eloquent the writer’s opinion, but make sure that there will be no use of “I” in the conclusion of the essay, as it is not allowed in formal essay writing. Do not write too much in the conclusion other than the paraphrase hypothesis and the writer’s short opinion. The conclusion is not a story and don’t try to introduce something new or unrelated information in it otherwise the reader will at once reject your essay or will give you low grades. Make sure all the information you mentioned here must be from your introduction or body paragraphs and the scope of the conclusion must be limited to what you have already mentioned in your essay. Remember to always end your conclusion with your opinion. Above are some tips to write a great compare & contrast essay conclusion. 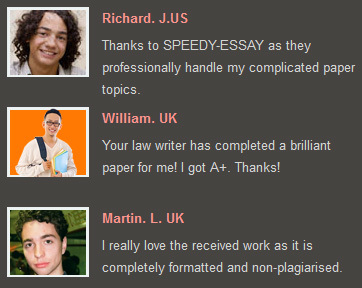 If you want to make your compare & contrast essay conclusion, outstanding and want to get good grades then it is necessary to carefully follow each and every step. Best of luck for your next essay.